Very nice tiny home. Great photos too (by Michael Harris/Windermere Real Estate). I’m just still surprised to see that some folks still think $275,000 is a low price for a tiny-small home… must be the location. On the positive side, this example might convince some tiny house skeptics that allowing micro housing in cities might just improve neighborhood home values – (hint: so make them legal!) In fact tiny homes can, and often do, fill those gaps left between larger homes in high density locations and allow for more diversity. Learn more about this Tiny house for sale in Loyal Heights – seattlepi.com. This entry was posted in Tiny House and tagged For Sale, Loyal Heights, seattle, tiny home. This completely defeats the purpose of the tiny house movement, you vultures! 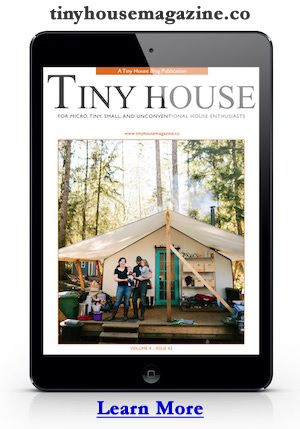 I am not thinking that the target buyers are part of the tiny house “movement”. I am surprised that such a small dwelling is allowed in that zoning. I bet it was an older building built ad an out-building, shed, or mother-in-law unit before the planning department clamped down. You see these kinds of tiny homes in some communities that once were vacation spots too. This is an absurd amount of money for such a tiny home, but then we all know that housing prices have been fueled by easy credit and low interest rates. American real estate is yet one more bubble which has not yet burst. Apparently real estate buyers have short-term memory loss, and have forgotten the lesson of 2008. I think some of the flippers and profiteers understand that it’s a ponzi scheme and play while they can. I agree with you that easy credit has created this 50+ year bubble, but it will take a mass-awakening and deleveraging for things to resolve themselves. In the mean time I hope to help more folks discover the tiny and other alternative housing options out there. Low cost home ownership is still possible. Supply and demand. Plenty of space; great location. Why list below what the market will bear? The movement – myself included – can find another logical patch of grass. Don’t be upset that some people buy $1000 shoes. Just don’t make the same mistakes they do. We have one life – let’s not waste energy on despair, but instead focus our efforts on what we CAN change. Do you have any idea who built this home? Love the layout! No idea. I suspect it’s an older structure that was spruced up. Cheap by downtown London or Tokyo standards. Location, location, location. You’re paying for the land, stop whining about the price! According to the realtor’s website, this home has a “territorial” view. In the Seattle market, any in-city home with a view is a license to print money. Realestate prices are always relative to an area and to the quality of building that is accepted in that area. For instance, this tiny house seems to be built with high end wood, trim, and other quality things that in any area would drive up a price but be worth it for the enduring quality of the build. The location of this house says volumes about its price as this is a very high priced area for the land more than the houses on them, so most of that price is probably for the lot itself. Does the grey building go with it? Is it a garage or workshop? If so, that would raise the price quite a bit also. I am just saying thst just because the orice is high, doesn’t mean it is out of line for that area. I didn’t even talk about the exquisite landscaping. I couldn’t build a tiny house in the area I live . So I bought a tiny house ( under. 400sq) 392 sq it is – now I am looking to build a tiny house of 120 sq on the property – that’s allowed because its considered a shed. 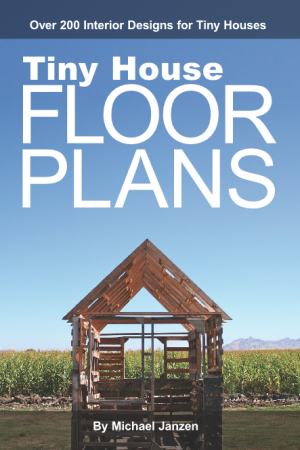 So I will have 2 tiny houses on one lot – Now I need to build my 120! I bought the house and land for 130,000 – and its a great location – so I bought the littlest house in the area – lots of people wouldn’t buy it thinking how they would it bigger. It can be made bigger but I don’t want to. its my tiny home and its everything a tiny home should be. its paid in full ( I down sized and paid cash) now. just taxes elect gas ins cable = $400 a month – good huh? I think so – I live in NY in city limits not bad! Sounds like a great success story! Thanks for sharing. Check out some of the small houses in Provincetown, MA. Very little land. lots of ocean!